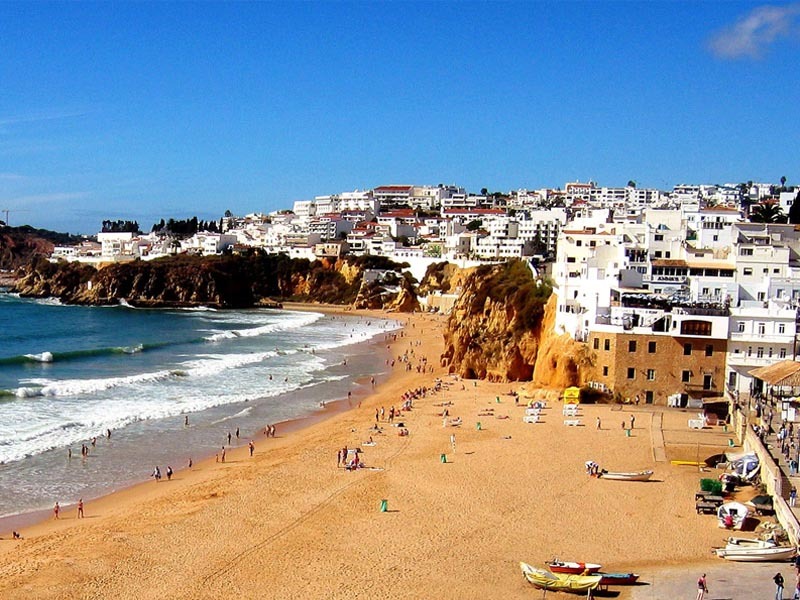 Albufeira is situated central to the Algarve and is around 30 minutes drive from Faro Airport. Albufeira’s origins are relatively unknown; however, it was recorded as an important port many years ago. Previously known as Baltum, it was renamed Al-buhera, which translates to “Castle on the sea” and now has the name we more comonly know as Albufeira. One of the largest resorts in the Algarve, and probably the most well known, Albufeira has an enormous appeal to all ages and style of holiday makers and travelers alike. With an “old” and a “new” town, Albufeira offers history and tranquillity alongside a lively nightlife. With beaches of the finest quality and a warm, friendly atmosphere generated by the locals, it has virtually everything for everyone. When you hire a car you can design your itinerary to fit in with your own unique interests and favourite pursuits. Whether you’re a sporty outdoors type or prefer to take things easy, you’re sure to find somewhere and something to pass the time.